“That happened all the time,” said Forrester, president and CEO of Newman’s Own Foundation. That this exchange did happen so often speaks as much to the humility of Newman, who died in 2008, as it does to a vocation he cared about even more than acting. Newman was the man behind the foundation that bears his name, a 501(c)3 that to date has given over $520 million to charities, mostly those benefi ting children. And funneling the money for that foundation to give away is a slew of food brands bearing Newman’s smiling face: salsa, cookies, pizza—and popcorn. Actually, it all started with oil and vinegar. 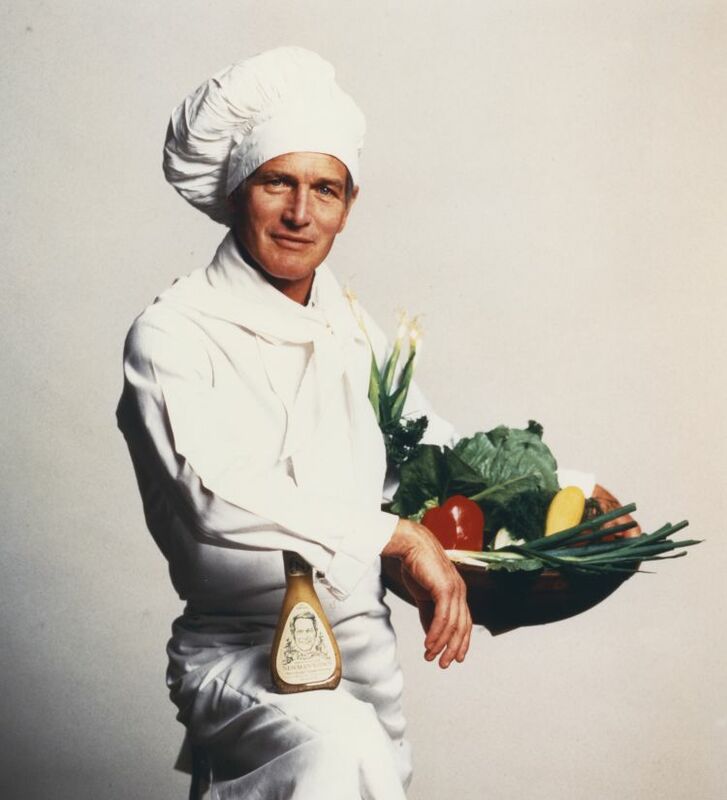 Every year just before Christmas, Newman liked to make a huge batch of his family-recipe salad dressing. (“He was a chef of salad dressing—brilliant,” actress and his wife Joanne Woodward once said.) 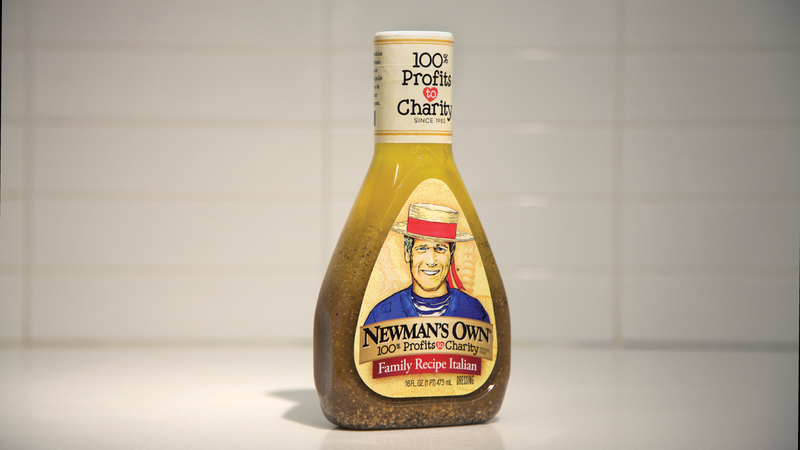 Newman would pour the Italian dressing into old wine bottles, then drive around his Westport, Conn., neighborhood and leave them on neighbors’ doorsteps. One year his friend, writer A.E. Hotchner, stopped over to help, and the pair came up with the idea to sell the salad dressing commercially. 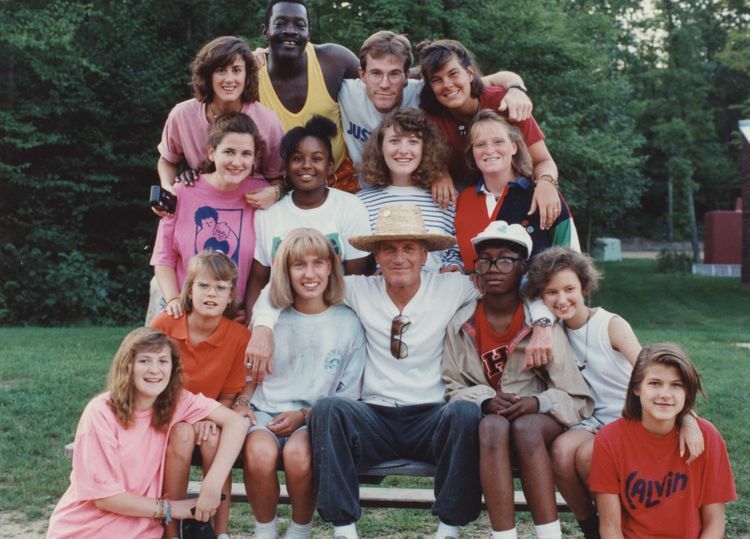 The profi ts would go to fund Newman’s many philanthropic projects—in particular, his Hole in the Wall Gang Camps, which give a free summer getaway to kids fi ghting liftthreatening illnesses. That was 1982. 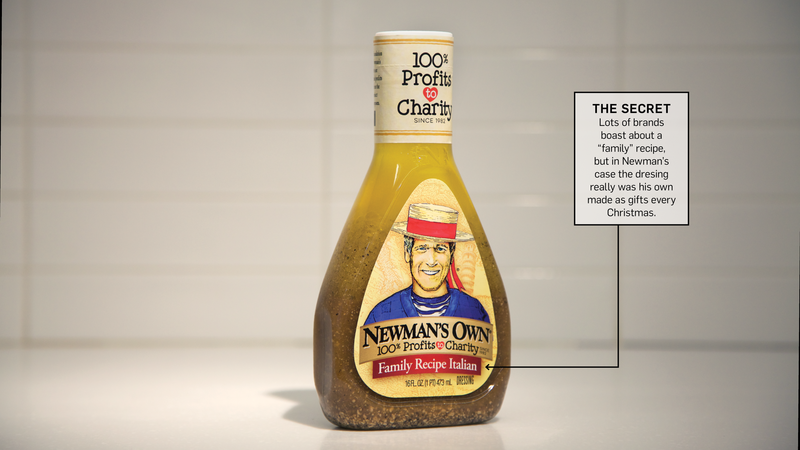 In the ensuing 36 years, Newman’s Own has expanded to 32 salad dressings, into organics and even into pet food while continuing its charitable efforts. In fact, philanthropy is so central to Newman’s that the foundation recently set up a website called Common Good as a platform for charities of all stripes to post their (true) stories about how giving helps the human condition. 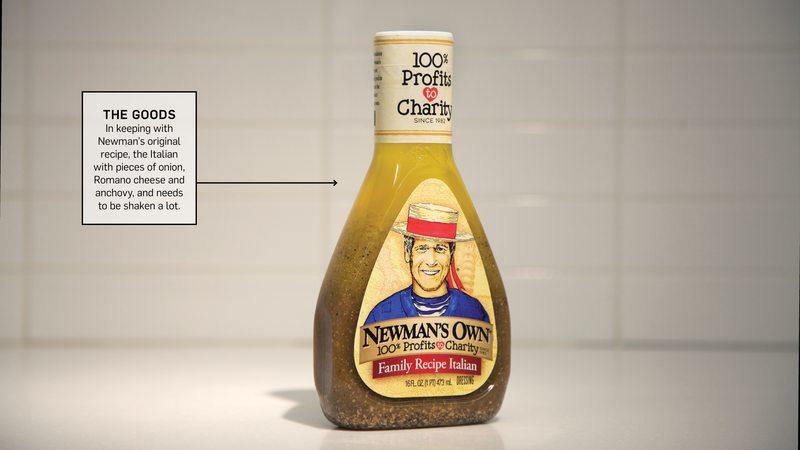 And, no doubt, charity is much of the reason why people continue to buy Newman’s Own itself—even though Forrester concedes that “nobody’s going to buy it a second time if it doesn’t taste good.” According to marketing consultant Hayes Roth, it’s a measure of the brand’s strength and validity that a new generation of shoppers—ones too young to have any personal recollection of Newman’s fi lm career—is reaching for Newman’s Own. 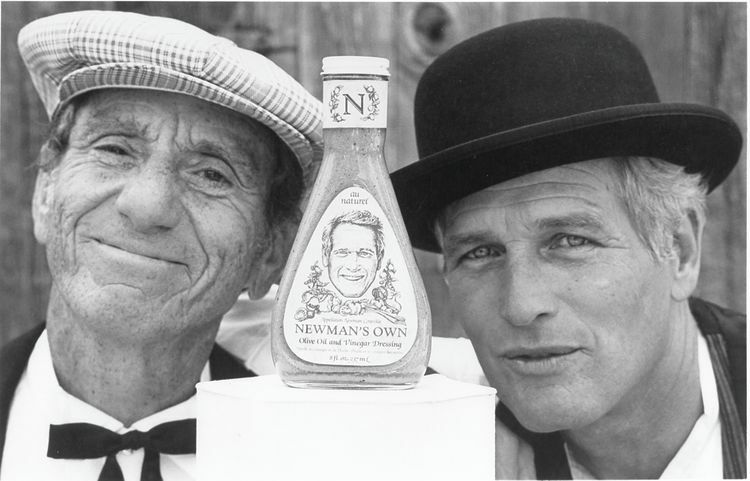 Actor Paul Newman wore many costumes in his long career, but none meant more to him than the chef whites he put on (if only for this photo at left) to make the salad dressing that became Newman’s Own—a brand he beganin 1982 with friend A.E. Hotchner. 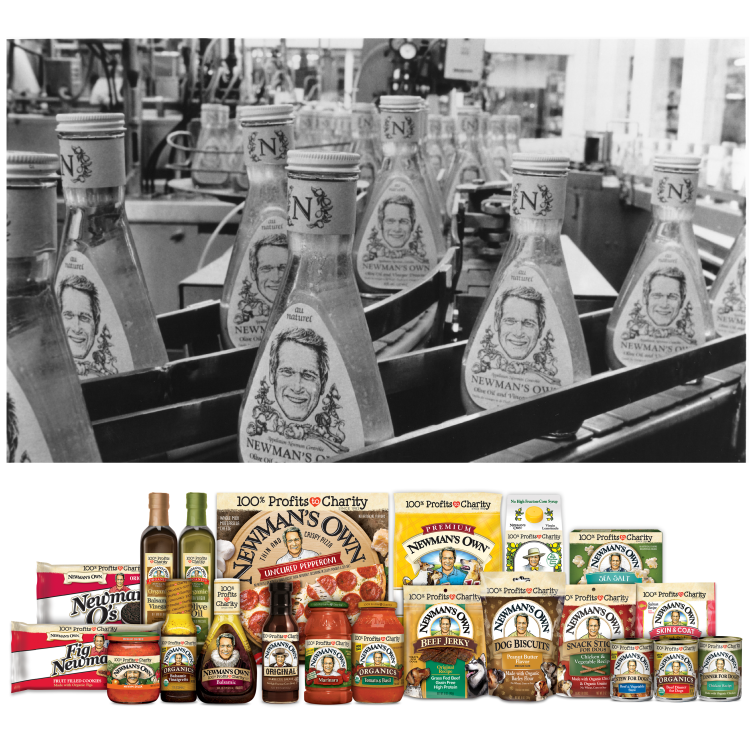 In the early days, the company produced only salad dressing (above), but in the wake of popular acclaim the brand broadened its offerings to include everything from salsa to cookies to lemonade (bottom). Charities that benefit from Newman’s Own can’t imagine life without it, yet itnearly happened. The tax bill signed into law this January carried over an obscure 1969 provision that imposed a 200 percent tax on private foundations that own more than 20 percent of a for-profit firm. 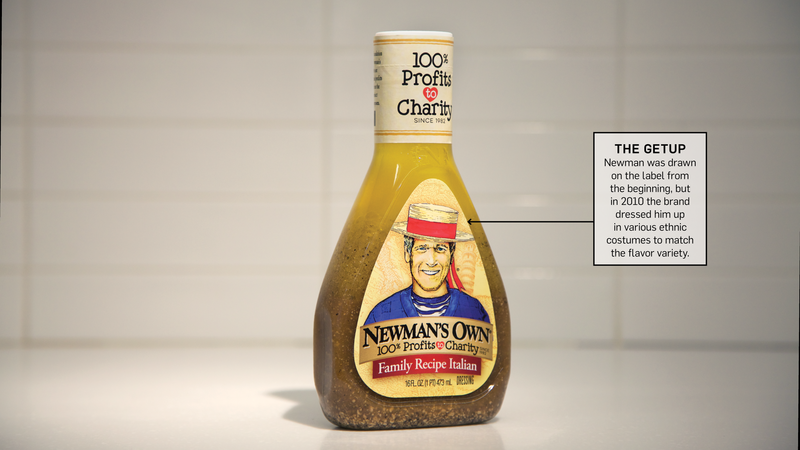 It would have forced Newman’s Own Foundation to divest, destroying both the charity work and the brands. “It’s hard to sell a company that has to give all of its money away,” Forrester said. Fortunately, alast-minute intervention exempted Newman’s, and its dressings can continue to pour.